Has the weight-loss been inadequate after a procedure? Or has the weight come back on after an initial period of good success? Weight regain occurs for many reasons, but it is no reason to give up. In fact, there are better solutions today than ever before to combat weight regain. Simpler, minimally invasive revisional procedures offer a high rate of success with less invasive techniques. In most cases, people will experience a whole new successful reset of body weight and metabolism to a much healthier weight after a 45-minute laparoscopy procedure and an overnight stay. In the past several years, Dr. Sasse has been among a small number of innovative Bariatric experts around the country who have sought less and less invasive solutions for permanent weight loss. An expert in advanced endoscopic procedures, Dr. Sasse has utilized earlier endoscopic technological advancements including the Stomaphyx and Rose devices to shrink gastric pouches after Roux-en-Y Gastric Bypass. These earlier technologies proved limited; however, in their ability to create truly effective restrictive pouches and renewed weight loss success. Today, newer technologies allow the placement of robust internal stomach stitches which reduce the size of the pouch and decue the size of the outlet or stoma from the gastric pouch, thus creating a new sense of satiety, eliminating hunger and fostering renewed weight loss. Dr. Sasse is fully trained on the Apollo EndoStitch device that enables this non-invasive revision of the previous gastric bypass. Wait regain after sleeve gastrectomy? Weight Re-Gain after Gastric Bypass? The sleeve procedure has become more widespread because of its excellent track record for weight loss, resolution of diabetes, and very low rate of complications. The largest studies reported in the Journal of the American Medical Association recently showed weight loss results were equivalent to gastric bypass but with significantly lower complications. But no surgery works perfectly for everyone. The procedure interacts with our genetics and all the other factors in our lives, which means that some people lose a great deal of weight, some people lose less weight than we want, and some people regain weight down the road. In part because of this reality, many of the initial advocates of the sleeve consider this the first step of a two-step surgical intervention to permanently resolve obesity and diabetes. The concept is that the sleeve procedure would be done first, since it is the simplest, and safest, and least invasive. Then, about 15 - 25% of people who really need it move forward with a type of duodenal bypass a year or several years later. Many experts believe this strategy may be the best way to optimize results for the most people. So, if you or a loved one has regained weight after a sleeve procedure, don’t lose hope. Dr. Sasse has had excellent results with a revisional procedure that takes advantage of the previously performed sleeve procedure and now “supercharges” it with a procedure known as laparoscopic SADI or single anastomosis duodeno-ileostomy. It is considered a more modern, gentler version of a duodenal switch procedure, and has advantages of being less invasive, with a longer common channel of ilium so there is significantly less vitamin or nutrient malabsorption. Each case is unique, and Dr. Sasse may be able to offer a range of solutions for revision after a failed sleeve, or a sleeve that worked temporarily but weight regain has occurred. Revision of sleeve is occasionally successful, although published studies have demonstrated that in general, this is usually not a successful solution for most Reno patients. Another revision option that was popular in the past was to convert the sleeve to a gastric bypass. However, researchers in recent years have demonstrated that the strategy also comes up short in terms of optimal weight loss for most people. There may be cases in which either of these two solutions might make sense, and so it’s best to talk it over with Dr. Sasse to determine the most suitable option for you. For most people, the weight loss success is going to come with a revision that tackles the problem by creating the kind of hormonal changes and metabolic reset that comes from the duodenal switch. It’s believed that the duodenal procedure resets a different set of hormones which affect hunger, metabolism, blood sugar regulation, and body weight, and is highly effective and quite compatible with the sleeve. The revision of sleeve procedure is usually performed with a 45 to 60-minute laparoscopy, and an overnight observation our hospital in Reno. Most people have only five small Band-Aids and immediately begin losing weight. It is important to regularly monitor the vitamins levels and stick to the recommended vitamin regimen to avoid developing any vitamin deficiency such as vitamin B-12, thiamine, iron, vitamin D, or other deficiency. When weight regain occurs after gastric bypass surgery, the revisional options are somewhat different. While after the sleeve procedure there is an excellent, minimally invasive, and highly effective path to excellent long-term weight loss with a duodenal switch procedure, the choices after gastric bypass for weight regain are slightly less clear cut. There are several options which can be effective when combined with a dedicated effort of increased exercise and adherence to a low carbohydrate diet program. In some cases, the least invasive option is one that aims to restore the sense of restriction and help limit portions. We have found the most effective method to do this is to place the gastric band around the stomach pouch, the so-called band-over-bypass technique. This can be accomplished in a 30 or 45-minute laparoscopy as an outpatient procedure, and the person can go home the same day. The band can then be adjusted to optimize the amount of restriction and facilitate weight loss. Moderate success has been achieved with this technique. The similar conceptual strategy of restoring restriction using an endoscopic technique and internal suturing device has also produced modest success, but thus far is not covered by insurance. Additional strategies involve revising the bypass portion and lengthening the Roux limb, changing the absorption, and the path of enzymes and hormones, to mimic the metabolic changes that occur in the most effective bypasses. This type of revision can usually be accomplished with a laparoscopy to facilitate renewed weight loss. The concept of a gastric bypass has been around, and been very successful, for several decades. While the most common type of gastric bypass is called the Roux-en-Y, another type of gastric bypass has the potential to reduce risks and be simpler to perform. The Mini-Gastric Bypass is a type of gastric bypass operation that can be performed with a laparoscopic technique, using keyhole incisions. The procedure might be more aptly named a Loop Gastric Bypass, and in fact, that term is coming into common usage among surgeons. The Loop Gastric Bypass name refers to the technique used during the procedure where the surgeon creates a surgical configuration at the top of the small intestine in an area called the jejunum. Part of the small intestine is connected directly to the stomach pouch. For surgeons, a loop gastrojejunostomy (or Loop Gastric Bypass) differs from the Roux-en-Y gastrojejunostomy in that the procedure involves connecting a loop of jejunum instead of creating a “Y” type configuration (see figures). Roux-en-Y gastric bypass and Loop Gastric Bypass have both been around for several decades. Both have been used frequently for a type of stomach surgery that was widely performed to treat stomach ulcers. With the procedure to treat ulcers, a portion of the stomach was removed (removing the ulcerated portion) and afterwards the surgeon reconstructed the area using either Roux-en-Y or Loop Gastric Bypass. The differences between the two procedures are relatively minor, but debate continues in the medical world over which might offer enough subtle advantages to take the lead, and there are fierce advocates on both sides of the debate. Because the two procedures are so similar and have been used successfully and interchangeably, it stands to reason that the gastric bypass surgery performed today to treat obesity can be performed with either a Roux-en-Y reconstruction or loop reconstruction. And because the procedures are so similar, it should come as no surprise that the results are quite similar and also that there are fierce advocates arguing the advantages of each procedure in the weight-loss surgery realm. But if the procedures are so similar, what’s the point of having both? The rationale behind the Loop Gastric Bypass is that the procedure is technically simpler and less risky than the Roux-en-Y reconstruction, and the results can be more easily modified or even reversed if there’s a need. Studies have shown weight loss with the Mini or Loop Gastric Bypass to be quite comparable to weight-loss success with the Roux-en-Y gastric bypass with no change in complication rates. Subsequent studies in several countries have confirmed the procedure appears both safe and effective. (Wang, Chakhtoura, Lee, Peraglie) Some authors believe the procedure offers the advantage of a shorter learning curve and lower complication rates for bariatric surgeons. Dr. Sasse has performed thousands of gastric bypass procedures, and the learning curve is no longer an issue. With regard to its efficacy as a weight-loss procedure, the Mini Gastric Bypass has been examined in several studies and shown to have very comparable weight-loss results to Roux-en-Y gastric bypass. There hasn’t been increased evidence of marginal ulceration or increased gastrointestinal symptoms or difficulties with nausea, vomiting, bloating or other troubles. In fact, recent discussions among surgeons regarding the increased popularity of the sleeve gastrectomy highlight the long, tubularized stomach pouch which is also created with the Mini Gastric Bypass, and which is well tolerated and rarely has complications of leakage or ulceration. In Dr. Sasse’s opinion, the Mini Gastric Bypass causes very similar changes to the digestive process and the appetite, and also similar changes to nutrient absorption as the Roux-en-Y gastric bypass. The technical simplicity of the Mini Gastric Bypass may offer an advantage over the RYGB, with less chance of scar tissue or opportunities for twists or blockages related to the “Y” reconstruction of the RYGB. Mini Gastric Bypass Before AfterIn the Mini Gastric Bypass, Dr. Sasse creates a small, tubular-shaped stomach pouch with an outlet directly into the upper intestine, where nutrients are absorbed. Like the RYGB procedure, the pouch is the bypass that bypasses most of the stomach, both limiting the amount of space that can be filled up with food so that satiety is reached faster, and creating a certain amount of malabsorption. The enzymes that break down and digest food come from the pancreas and the stomach, after bypass these enzymes don’t come into contact with the food until later in the digestive process. Less food is digested, so less is retained by the body. Both malabsorption and the limited space that causes faster satiety lead to weight loss. Technically speaking, there’s one less place in the Mini Gastric Bypass procedure where the surgeon has to reconnect the intestine. There’s also often less tension placed on the jejunum as it is connected in the loop fashion to the longer stomach tube pouch than would be the case in the more commonly performed Roux-en-Y gastric bypass operation. In Dr. Sasse’s opinion, these differences make the Mini Gastric Bypass a more straightforward procedure for most people. Overall, in Dr. Sasse’s view, the Mini Gastric Bypass is at the very least a reasonable alternative to the Roux-en-Y gastric bypass with small potential advantages and few or no disadvantages. For highly skilled and experienced bariatric surgeons, the differences between Roux-en-Y gastric bypass and Mini Gastric Bypass should be extremely small and there should be an expectation of very similar weight-loss results and comparatively low complication rates. The mini gastric bypass has emerged as a very effective weight loss procedure with many advantages over the other currently available weight loss procedures. Each of the procedures now being performed widely around the world has some advantages and some disadvantages and so I have tried to summarize those in the following sections. Ultimately, in all the cases the mini gastric bypass is arguably one of the least invasive procedures with a greater degree of reversibility, and lower opportunities for serious problems. It is also highly effective and roughly on par in effectiveness to each of the very best procedures. So let’s start with the weight loss. The data indicates the long term weight loss success from the mini gastric bypass is the same as that of the Roux-en-Y gastric bypass. Several studies have now shown multiyear, long term, follow-up with equivalent weight loss results to the Roux-ex-Y gastric bypass. With respect to weight loss results, remember that no surgery is a magic wand. The results of weight loss surgery are profoundly affected by you. Your dedication to the program and to the long term maintenance of habits will sustain long term weight loss are perhaps the most important factor. No surgery ensures long term weight loss success, however numerous long term studies have shown that 80-90% of people maintain their weight loss after ten years with gastric bypass surgery. There is no good reason you cannot also be in that 80-90% of patients who maintain a durable, healthy, long term weight. With respect the safety comparisons between Roux-en-Y gastric bypass and mini gastric bypass, there is reason to believe the mini gastric bypass is safer. For starters it is a simpler and less invasive operation that involves only one connection or anastomosis that is made by the surgeon instead of two that are created in the Roux-en-Y gastric bypass. 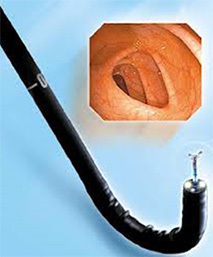 This eliminates the chances of leakage or obstruction at the second connection site, something that does occur infrequently in Roux-en-Y gastric bypass. Secondly, there is good support for the notion that a “lower” connection point on the stomach pouch creates less tension and therefore less chance of leakage. The “high” gastric pouch anastomosis that is typically created with Roux-en-Y gastric bypass may often create some tension and put some added stress on the connection point or anastomosis. This is associated with leaks, quite a serious complication, but also strictures or stenoses, which may require further treatment including surgery. Another factor favoring the mini gastric bypass over the Roux-en-Y gastric bypass is the ease of reversibility. While both procedures involve reconnecting the existing organs and anatomy without making any irreversible moves, and no organs are removed, the mini-gastric bypass is much more easily reversed should some future need arise. Roux-en-Y gastric bypass surgery on the other hand is very difficult to reverse and would only be done so under very unusual situations. Reversal of the mini could be done with a laparoscopic approach, whereas reversal of the Roux-en-Y gastric bypass would in many cases require open surgery. Each procedure has some pros and cons. The primary advantage of the mini gastric bypass over the sleeve gastrectomy is the reversibility feature. When concern about the sleeve gastrectomy procedure, is the “gastrectomy” part of the title. This means removal of 75-80% of the stomach. It’s the only major bariatric procedure or weight loss surgical procedure that is truly irreversible. A second advantage of the mini gastric bypass over the sleeve gastrectomy is it does not involve the more serious complications which can arrive in the sleeve gastrectomy stemming from the very long gastric staple line, namely ulcers and delayed leaks. Ulcers can occur with mini gastric bypass, Roux-en-Y gastric bypass and sleeve gastrectomy, but it is believed that the rather lengthy staple line of the long sleeve gastrectomy provides more opportunity for gastritis and ulcers to occur. More importantly however is a phenomenon seen almost exclusively with sleeve gastrectomy, that of a delayed gastric leak. This problem occurs weeks or even months after the sleeve gastrectomy has been completed and can be a very serious problem, one that can require endoscopic stenting and/or surgery. If not dealt with promptly it can be the more serious complication. This type of problem is not seen with the mini. Advantages of the sleeve over the mini gastric bypass and over other types of gastric bypass including the Roux-en-Y gastric bypass is that the sleeve gastrectomy procedure does not alter the absorption of nutrients as significantly. By simply removing most of the stomach it does not cause as much reduced absorption of vitamins and minerals in the intestine, whereas the mini gastric bypass procedure does result in some decreased absorption. This is a double edge sword in that the decreased absorption also includes a decreased absorption of calories and therefore a boost to the weight loss. We would not expect any such boost from the sleeve gastrectomy procedure. Finally, while there is long term data about the mini gastric bypass over many years, from a small number of centers, we do not have much long term data about the sleeve gastrectomy with respect to weight loss results. Recent studies have shown five year outcomes after sleeve gastrectomy and it does appear to provide robust weight loss, but time will tell if the results hold up in the long run. Both of these procedures rank well in terms of non-invasive laparoscopic procedures. There are numerous differences of course. The advantages of the mini gastric bypass over the LAP-BAND are the mini gastric bypass does not involve placement of a foreign body, a band or hardware of any kind. Along with that difference is the absence of the potential complications of the band and the port including gastric erosion, band migration or slippage, port dysfunction, tubing breaks, port flipping or other mechanical band related problems. Some additional features would be the absence of band related swallowing difficulties that can occur especially on older people who have weakened esophageal motility. Basically all of the band related problems are not going to occur with the mini gastric bypass or with the other non-band procedures. However there are always tradeoffs and in this case one would argue the mini gastric bypass is more invasive than the LAP-BAND because it does involve cutting and one single reconnection performed in the stomach. The potential complications associated with that type of procedure including leakage, ulcers, blockages and reduced nutrient absorption are all potential problems with mini gastric bypass or the Roux-en-Y gastric bypass that would not be seen with the band. As for comparisons of the weight loss results, results are mixed. Generally speaking there are many large and long term studies, which support the conclusion that gastric bypass surgery results in a greater degree of weight loss over a longer period of time. More recent studies, some of which are large in size from respected centers, show the gap between band surgery and bypass surgery over the years, in terms of weight loss magnitude, is quite small and possibly even statistically insignificant. The mix of studies and conclusions speaks to the difficulty of studying the topic and also the importance of individual effort and responsibility in achieving the long term weight loss. Some programs successfully emphasize this feature and perhaps because of it, achieve very similar results no matter which kind of surgery is performed. Larger, statewide and patient registry data appears to show a greater degree of weight loss that is maintained over the long term and also shows the weight loss is faster with a larger number of pounds lost in the first twelve to eighteen months when compared to LAP-BAND surgery.